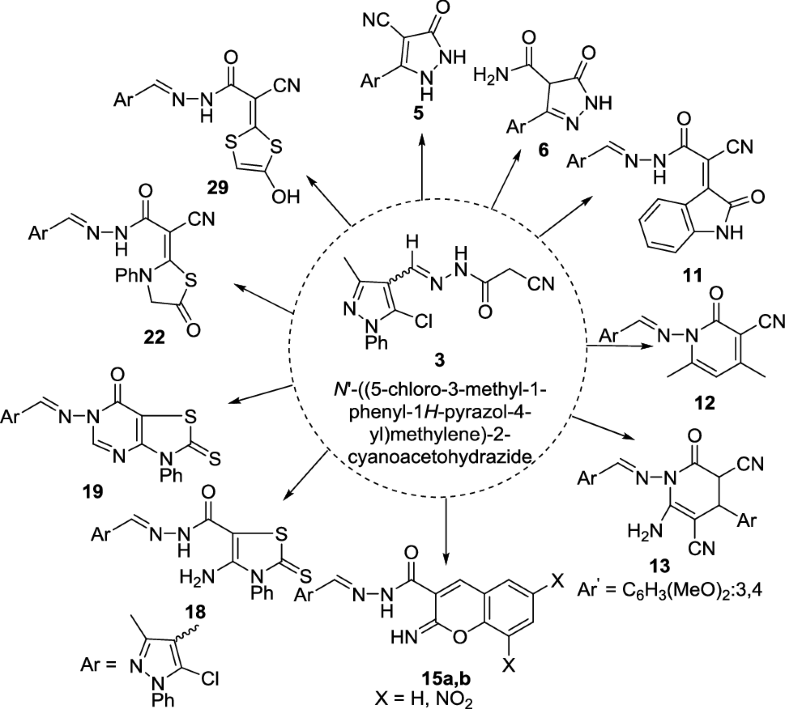 Hydrazide-hydrazone, namely, N′-((5-chloro-3-methyl-1-phenyl-1H-pyrazol-4-yl)methylene)-2-cyanoacetohydrazide 3, was utilized as a key starting material for the construction of a variety of novel heterocyclic moieties. The newly synthesized compounds were characterized by elemental analyses and spectral data (IR, 1H-NMR, and mass spectra). Some of the newly synthesized compounds were screened for their antitumor and antioxidant activities. The results showed clearly that compounds 6, 11, 13, 22, and 29 displayed promising in-vitro antitumor activity against two cell lines (HepG2 and MCF-7). Among these compounds, compounds 13 and 29 exhibited the highest activity as antitumor agents. 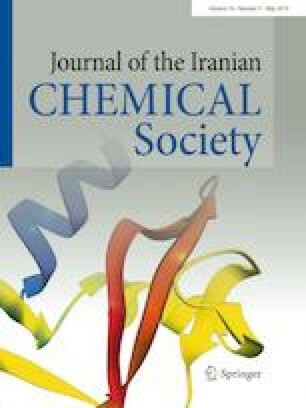 On the other hand, compounds 13, 22, and 29 exhibited the highest inhibitory antioxidant activity using ABTS method. While, in case of erythrocytes hemolysis, compounds 4, 13, and 29 proved to exhibit potent antioxidative activity as vitamin C. Meanwhile, compounds 6, 11, 16, 21, and 22 showed a remarkable promising activity. In light of the highest potency of our novel compounds in targeting both antitumor and antioxidant activities, compounds 13 and 29 warrant persistent preclinical development as antitumor and antioxidant agents. The online version of this article ( https://doi.org/10.1007/s13738-018-1566-x) contains supplementary material, which is available to authorized users.